Park Regis City Quays Cairns invite you to experience our modern, one and two bedroom fully self-contained apartments and hotel rooms right in the City Centre..
Why not come up to the rooftop pool - relax in the northern sun, or plan your activities during your stay at the on-site tour desk to explore the region's magnificent reefs and rainforests. With the harbour foreshore, restaurants, casino and marina a short stroll away; you are close to everything that makes Cairns the relaxing tropical destination it is famous for. We are also 50 metres from Cairns' newest attraction - the Blue Sky Brewery. Only 7km from the Airport, City Quays offers a ‘home away from home’ where your time with us will be just like being at home..This property offers a relaxing environment while lazing on that perfect holiday you so desperately deserve. Come visit us at the Park Regis Anchorage Townsville and enjoy the comfort of spacious modern studios, one and two bedroom air-conditioned apartments – plus amenities, including an onsite restaurant, a BBQ area and two swimming pools. Park Regis Anchorage’s has a great location in the cosmopolitan Palmer Street dining precinct. You’re just an easy stroll from restaurants, cafes, bars, city nightlife and Jupiters Casino. You’ll also have privileged access to the Great Barrier Reef and Magnetic Island, water sports and cruises, golf, fishing, the region’s rainforests, national parks and colourful outback. Opened in 2009, Oaks Gateway on Palmer is Townsville's next generation in resort-style accommodation. Located within easy walk of the CBD, the hotel has a range of restaurants & cafes on it’s doorstop on cosmopolitan Palmer Street. Oaks Gateway on Palmer offers hotel, one & two bedroom apartments and is a perfect choice for families, couples or the business traveller. All accommodation options offer spacious, sleek modern décor and spectacular river, ocean and hinterland views. Apartments features include full kitchen and laundry facilities, separate lounge and dining area, work desk & balcony. The hotel boasts a spectacularly located infinity edge swimming pool on podium level with views over the river and city, as well as a fully equipped gym, sauna and spa. Opened in 2009, Oaks Metropole is a boutique 4.5 star self-catering property on cosmopolitan Palmer Street. Enjoy an easy stroll to restaurants, cafes and city night life, Hotel M is an ideal accommodation choice for business and leisure travellers. Featuring 11 storeys of modern, fully self-contained studio apartments, all rooms provide chic interiors, styled with contemporary decor and complete with kitchenette, washer and dryer. The Metropole Hotel (located on site) is a true Queensland icon, revamped and now offering conference rooms and dining facilities. Palmer Street and the Strand nearby offer visitors an incredible array of dining and entertainment options, plenty of green space and shady groves to relax and take in the foreshore, ocean and Magnetic Island views. Voucher must be surrendered to property on arrival. Gladstone’s newest 4.5 star hotel, Oaks Grand Gladstone, is the premier choice for business and leisure travellers seeking deluxe, self-contained apartment accommodation in this iconic Queensland destination. Occupying a sought-after position in the heart of Gladstone’s thriving CBD on Goondoon Street and just 10 minutes from Gladstone Airport, Oaks Grand Gladstone stretches across nine levels and offers a unique and stylish base to soak in the myriad sights and activities the town has on offer. Comprising 144 beautifully appointed one-bedroom apartments, all rooms are equipped with modern kitchens, dining and lounge areas, Wi-Fi access, air-conditioning, flat screen televisions with cable channels and iPad and iPod docks. Some rooms have private balconies offering unrivalled vistas over the city, mountain ranges, harbour and ocean below. Oaks Grand Gladstone also boasts a swimming pool, exceptional dining, entertainment, events and gaming facilities for guests and visitors alike, with a number of popular restaurants, bars and function venues conveniently located onsite. Renowned as Gladstone’s favourite dining hot spot, the historic Grand Hotel has recently undergone outstanding revitalisations to its façade and interiors, featuring state-of-the-art function and conferencing spaces, a tasty food and beverage menu, and extensive gaming facilities. Our property has also recently welcomed the highly popular Ribs and Rumps and The Coffee Club to its restaurant collection – serving up a mouth-watering selection of breakfast, lunch, dinner and dessert choices in a relaxed dining setting. Oaks Grand Gladstone also offers guests the convenience of undercover car parking, an onsite gymnasium, business and secretarial services and public transport on its doorstep – catering to all types of stays. Just a stone’s throw from the Gladstone Convention Centre, Gladstone Yacht Club and Gladstone Regional Art Gallery and Museum, and short drive from various shopping centres, boutiques, cafes and other popular attractions, Oaks Grand Gladstone is the perfect choice for a mid-week business stay, long weekend away or leisurely holiday with family and friends. Oaks Rivermarque Mackay is the newest hotel to arrive in the tropical Queensland city of Mackay. Located on central River Street and fronting the iconic Pioneer River, the 4.5 star property spans eight levels and offers the choice of 138 stylishly appointed hotel rooms, studios and one and two bedroom apartments – some with dual key facilities, perfect for families and groups. Each apartment is equipped with deluxe appointments and finishes, plus modern kitchens or kitchenettes, full laundry facilities, spacious lounge and dining areas, Foxtel, 30 minutes continuous use of free internet per day, air conditioning and private balconies complete with city and river views. Our contemporary hotel rooms and studios feature tea and coffee making facilities.aks Rivermarque Mackay presents a supreme selection of leisure facilities for guests to enjoy, including a sizeable swimming pool, spa and well-equipped gymnasium as well as complimentary car parking. An onsite restaurant and cafe also provides a convenient dining option for in-house guests. 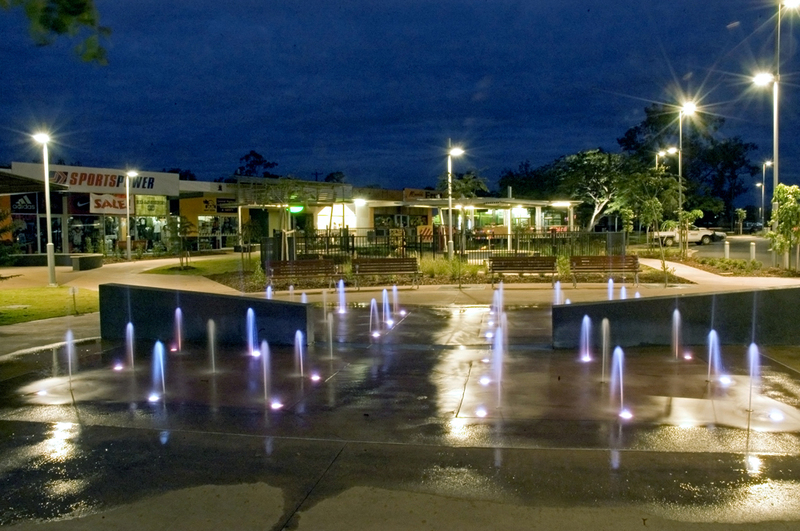 Oaks Rivermarque Mackay boasts a sought after position within the city, with myriad restaurants, bars and cafes within easy walking distance, as well as a number of popular attractions including the Bluewater Trail, Mackay Golf Club, Mackay Botanical Gardens and the Mackay Marina Village. Oaks Middlemount is approximately a three-hour drive west of Rockhampton and Mackay and just an hour’s drive from Emerald. Located right in the heart of Central Queensland’s lucrative mining belt, Oak Middlemount offers quality accommodation for corporate and leisure visitors. Encompassing spacious one and two bedroom apartments, each apartment is fully air-conditioned with self-contained conveniences and inclusive of quality amenities to ensure both short and longer stay guests will enjoy an unrivalled level of comfort when visiting Middlemount. Leisure facilities include a sparkling swimming pool, perfect for a morning or after work dip, a BBQ area and undercover car parking for added convenience. The property occupies one of the most central positions in town, adjacent to the sports and leisure centre, opposite the local shopping centre and just a short drive to the scenic Bundoora Dam – perfect for fishing, boating, water-skiing and swimming. One of the most popular attractions in Middlemount is its golf course and don’t be surprised if you find yourself sharing the greens with the resident wildlife which include kangaroos, wallabies and kookaburras. 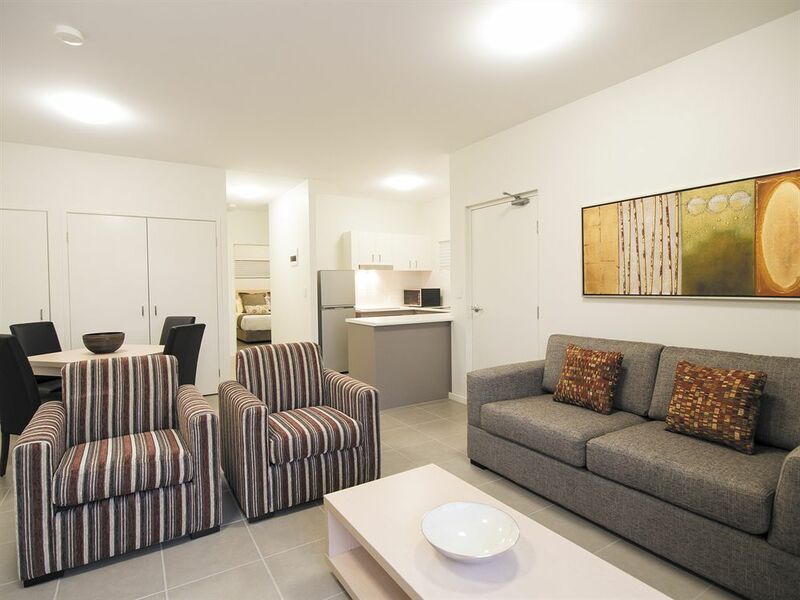 Oaks Moranbah is two hours drive from Mackay in Central Queensland and offers a brand new accommodation standard in Queensland’s youngest town to include spacious one and two bedroom, self contained and fully air-conditioned apartments spanning three levels. Moranbah has a growing population, fuelled largely by its proximity to local mines, and serves as the ideal town to call home for mine workers and their young families. Recent development in the area includes a refurbishment of the town centre where locals and visitors alike can enjoy a new water sculpture and popular children’s play area. There is also a number of cafés close by and the famous local bakery where a delicious selection of pies and cakes can be found. Moranbah offers active visitors the chance to try out the range of diverse sports attractions including the popular skate park, public swimming pool, tennis courts, off road racing, motocross and a BMX track. For those in search of a gentler pace, Grosvenor Park is a local favorite with green spaces ideal for a picnic with complimentary barbeques, tables and a children’s playground. Situated in Port Douglas, one of Tropical North Queensland’s most desired holiday destinations, Oaks Lagoons offers both hotel and deluxe apartment style accommodation with a range of leisure facilities and easy access to the magical Great Barrier Reef and Daintree Rainforest, making it the perfect holiday destination. Lush gardens and six lagoon-style pools surround the resort’s guest accommodation, creating a relaxed and welcoming atmosphere in keeping with the warm, friendly ambience of the region and making it one of the best Port Douglas resorts. Spacious and stylish accommodation options range from hotel rooms with large corner spas, to self-contained one and two bedroom apartments complete with fully equipped kitchen and laundry facilities. All rooms feature air-conditioning, cable television, Internet access, contemporary furnishings and private balconies. And for the ultimate in luxury, choose to stay in one of the resort’s luxurious ‘swim out’ rooms, boasting direct pool access, or an apartment with a private plunge pool and spa. Located just a 4 minute stroll to the seemingly endless sands of Four Mile Beach and within a 45 minute walk from Port Douglas’ renowned cosmopolitan village centre, Oaks Lagoons offers a range of options for rest and relaxation or an action-packed escape. Wander the art galleries and boutiques on Macrossan Street, stroll along Four Mile Beach’s golden sands, relax by the pool with a cocktail, and explore the many natural wonders of the region including the World Heritage-listed Great Barrier Reef and Daintree Rainforest, Mossman Gorge and Cape Tribulation. Just over three hours north of Brisbane and celebrated as Australia’s ‘whale watching capital’, Hervey Bay is renowned for its enviable laid-back lifestyle and attracts visitors to its sheltered shores year round, particularly during the annual humpback whale migration from June to November. A water-lovers’ playground, the coastal hamlet offers visitors the chance to immerse themselves in a myriad of marine adventures – from fishing to paddle boarding, swimming, diving, snorkelling and jet skiing – and of course, whale and dolphin spotting. Its position on the Fraser Coast also makes Hervey Bay the perfect launch pad for travellers wanting to visit the World Heritage-listed Fraser Island – the world’s largest sand island, while the southern tip of the Great Barrier Reef is also easily accessible, with day trips running regularly from the Bay to Lady Elliott Island. 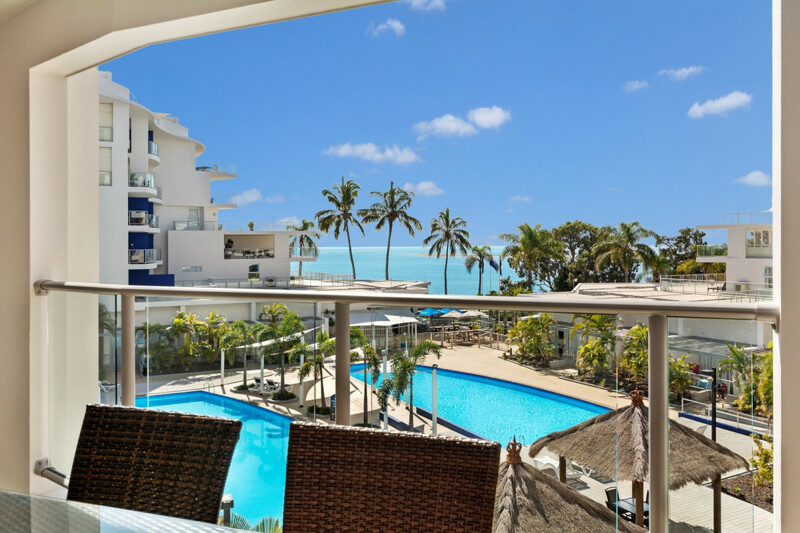 Positioned in the heart of Hervey Bay in Urangan, the soon-to-be Oaks Resort & Spa Hervey Bay provides an idyllic base for Queensland holidaymakers; featuring uninterrupted views over the protected Bay and an abundance of attractions on its doorstep. Guests will have the choice of one, two and three bedroom suites, plus split level three bedroom penthouses, a selection of which feature an absolute beachfront position and expansive rooftop entertaining decks to soak up the spectacular water views. Each suite offers the luxury of space, as well as the convenience of self-contained facilities, such as fully equipped kitchens and separate laundries, open-plan living and dining areas, and private balconies overlooking the Resort facilities and ocean. Spread over six levels, the 130-room property wraps around two central lagoon pools and a timber leisure deck, complete with a children’s play zone, shaded bure-style huts and communal barbequing facilities. When it comes to keeping fit, guests can choose to workout in the onsite gymnasium, or take advantage of the 19 kilometre-walking and riding track that fringes the Esplanade, offering a bevy of natural spectacles, cafes and restaurants, and boutiques to stop off at along the way. Home to three versatile function spaces, the Resort also caters to weddings, conferences and events, while those looking to combine their stay with a touch of R&R will relish the onsite day spa, featuring six treatment rooms and an indulgent service menu.